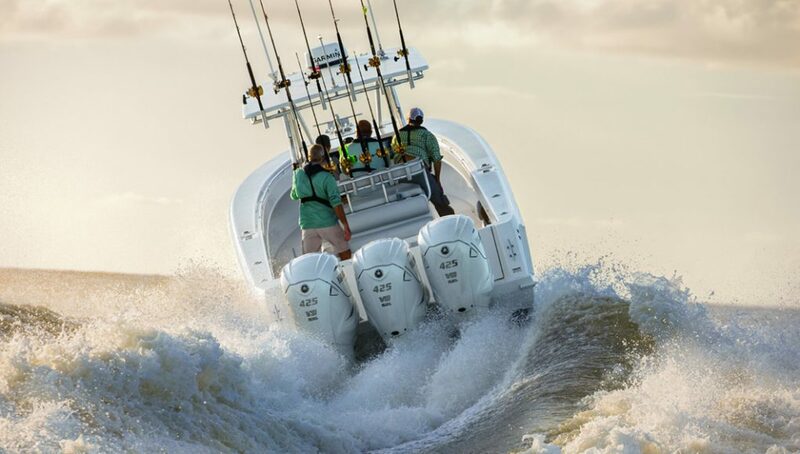 The V8 XTO Offshore has integrated electric steering, the first of its kind in any outboard. The integrated steering system has no hydraulic lines or linkages and responds more quickly than conventional systems to steering inputs. In addition, integrated electric steering means reduced power consumption, clean rigging and a very orderly bilge area. Thanks to an ingenious new exhaust-gas relief system, V8 XTO Offshore propellers bite clean water in reverse, which helps yield reverse thrust up to 300 percent of that developed by Yamaha’s F350. That means easy manoeuvring and more control in docking, particularly when the V8 XTO Offshore is matched with Yamaha’s Fully Integrated Boat Control System, Helm Master.